Review a selection of Shoreline Family Chiropractic patient testimonials below and please contact us if you have any questions. 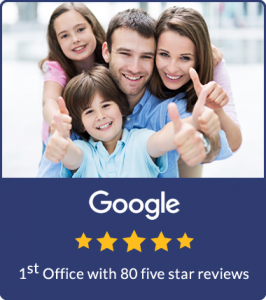 The first chiropractic office in Connecticut to receive over 80 five-star reviews on Google! We’re proud to hold the honor of being the #1-rated doctor’s office in our state. Shoreline Family Chiropractic offers you natural, effective health care by a team of friendly professionals who put our customers first. West Haven chiropractor, Dr. Matthew Paterna understands how important it is that each of our patients has an excellent experience at our office, marked by impressive results. The genuine warmth and smiles of the staff, Dr Cameron and Dr Paterna made me feel great without anything else. After Dr Paterna adjusted me I felt even better! I could tell he and Dr Cameron were genuinely listening to me and they didn’t make me feel rushed. Instead, they made me feel heard and that impressed me. Definitely coming back! Great “bedside manner”. I walked in with low expectations because of the duration of injuries I’ve sustained but I left with high hopes. I also feel confident that the treatment plan will help a great deal. Never felt rushed and the environment was calm. I usually dislike going to doctor’s appointments because they’re usually stressful but this visit was not. 10/10 would recommend. Dr. Paterna and his associates are gracious and professional and provide exceptional chiropractic care. Dr. Paterna spent a lot of time with me in the consultation/assessment/x-ray appointment and was very informative about the practice. He addressed all of my questions and concerns and carefully walked me through the results of my nerve scan on a computer. He then explained in detail how he could help me with my neck and back issues. After the first adjustment, I felt so much better and my symptoms decreased considerably. I am scheduled for my third adjustment and feel improvements physically and feel sharper mentally. I wholeheartedly recommend him as a practitioner. I have gone to every doctor I can think of for the pain in my back and haven’t found relief. I am hoping and believing that this is the treatment I need to get to the source of my problem. I was impressed with the thoroughness of Dr. Paterna”s evaluation of my issues and I am looking forward to feeling better. Thank you!